Pharos updated subscribers of T218724: MassMessage to email should show section header, not bot username. Pharos created T218724: MassMessage to email should show section header, not bot username. Pharos added a watcher for Reading-analysis: Pharos. Pharos awarded T127615: [Epic] Additional multiwiki support for users and courses a Love token. Pharos added a comment to T160531: Add monolingual language code UMU (Munsee). Stupid question: Is there a reason *all* language codes are not added by default? Even languages that are small today are often the source of toponyms. Pharos renamed T160848: Extract page from Google Books in Citoid from Extract page from Google Gooks in Citoid to Extract page from Google Books in Citoid. Pharos created T160848: Extract page from Google Books in Citoid. Pharos created T160531: Add monolingual language code UMU (Munsee). Pharos added a comment to T156855: Add images.metmuseum.org domain to $wgCopyUploadsDomains. The Met museum would like to test a GWT collection upload on Beta Commons. Licensing will be clarified later this week, before upload to Wikimedia Commons. MichaelMaggs awarded T156855: Add images.metmuseum.org domain to $wgCopyUploadsDomains a Like token. Fae awarded T156855: Add images.metmuseum.org domain to $wgCopyUploadsDomains a Like token. Pharos created T156855: Add images.metmuseum.org domain to $wgCopyUploadsDomains. Pharos created T150348: Post-date programs. Pharos created T150276: Add multiple users at once. Pharos added a comment to T131473: Spike: figure out adminship on dashboard. Would be glad to help with the community aspect of this. 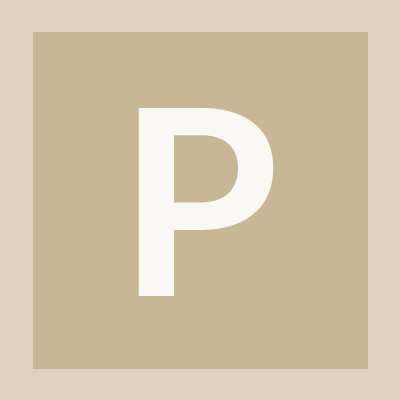 Pharos added a comment to T146332: Create short link for outreachdashboard.wmflabs.org. The Wikimedia NYC chapter, thinking about the usefulness of this tool both for classrooms and edit-a-thons, has reserved Wikithon.org, if people would like to use that as a redirect. Pharos updated subscribers of T142396: UN Women Editathon in NYC, Aug 12. Pharos created T142396: UN Women Editathon in NYC, Aug 12. Pharos added a watcher for Education-Program-Dashboard: Pharos. Pharos added a member for Education-Program-Dashboard: Pharos. Pharos added a member for Community-Wikimetrics: Pharos. Pharos added a watcher for Community-Wikimetrics: Pharos. Pharos added a comment to T130136: Edits don't save in Visual editor at wikimaniawiki. I'm seeing the same problem as Effeietsanders. Pharos added a comment to T103620: Find a sysadmin for WMF educationdashboard pilot site. Ragesoss made me an admin recently, but not a sysadmin (I am probably not qualified for the latter position). Should we set up a wiki page on enwiki or meta for people to make general requests for activating their 'courses'?